Well to me it was worth watching even though I am not a fan of sports animes. The animation may be old but it's decent and the storyline is awesome to it has it moments with romance but I think it really worth watching XD apart from the ending was bit of a let down I hope they will be a season 2. 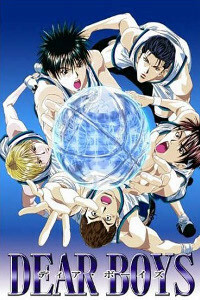 Quite a good basket ball anime! Waiting for a season 2! I so wanna know how that can evoluate! Luckily, it is different from Slam Dunk! So you cant really compare! Maybe new players will come tag with the group! I wanna see a match against Tendoji!